No lazy days this Summer! YMCA Camp Greenville unveils new Program Tree House! We welcome Michael Johnston, the newest member of the Domokur team. 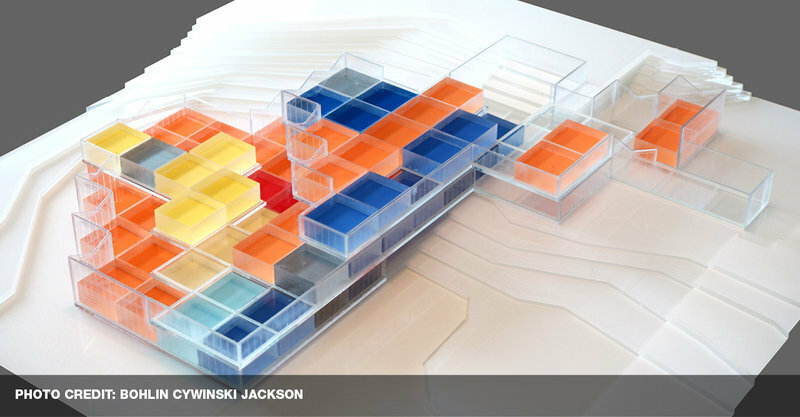 Michael brings a high degree of digital design and 3D Visualization skills to our firm. 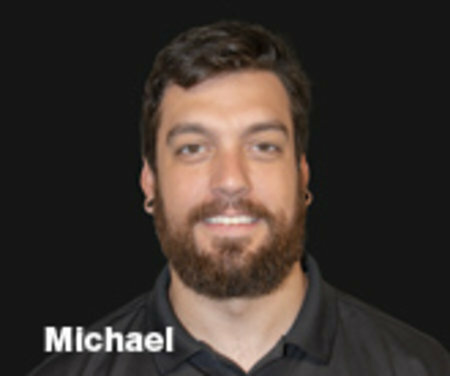 Learn more about Michael on the People page of our website. 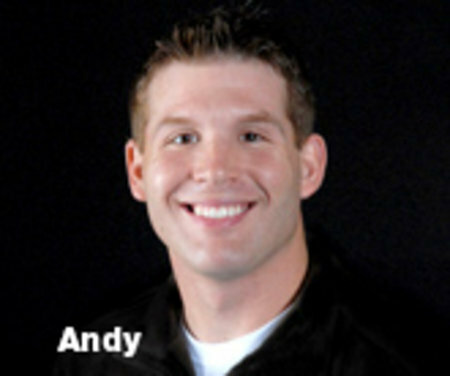 Andy Lorson has passed the exam and is now a CPACC – Certified Professional in Accessibility Core Competencies. The CPACC is the ideal credential for those who manage and support accessibility. Aaron Thompson has attended the Ohio Storm Shelter Workshop and can provide insight to this special construction method of community storm shelter design. Our Camp Design Team is gearing up for Fall/Winter Camp and Park & Rec Conferences! 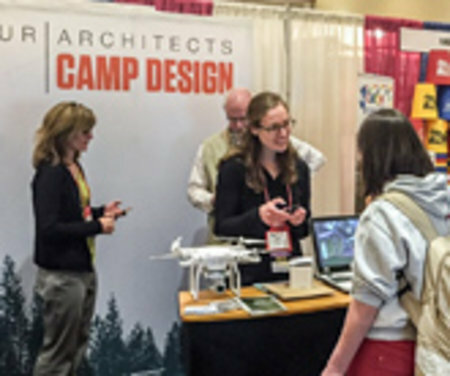 Look for members of our Camp Design Team at the ACA Southeastern Fall Camp Conference October 16th – 17th in Savannah, Georgia presenting “Camp Design: Master Planning Basics”. 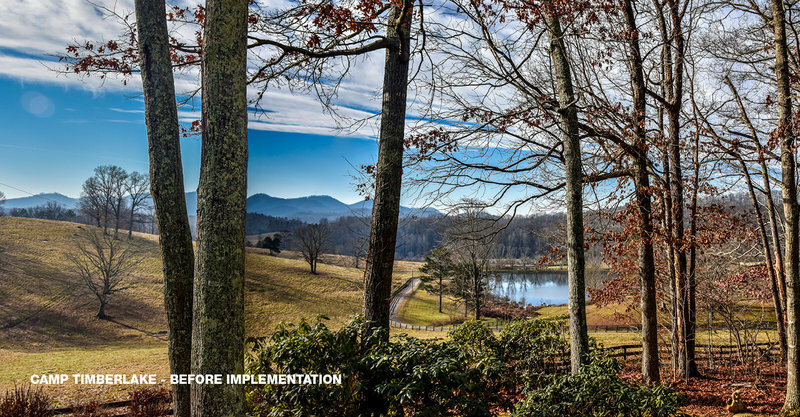 In Covington, Kentucky at the Leisure Systems, Jellystone Park Symposium, we will be presenting “The Big Picture: Campground Master Planning” on November 8th in collaboration with Environmental Design Group. There are many new developments to report on from the last few months here at Domokur Architects. We are very excited to begin working on the Kent State University Innovation Zone and Dining Rehabilitation project alongside Bohlin Cywinski Jackson. 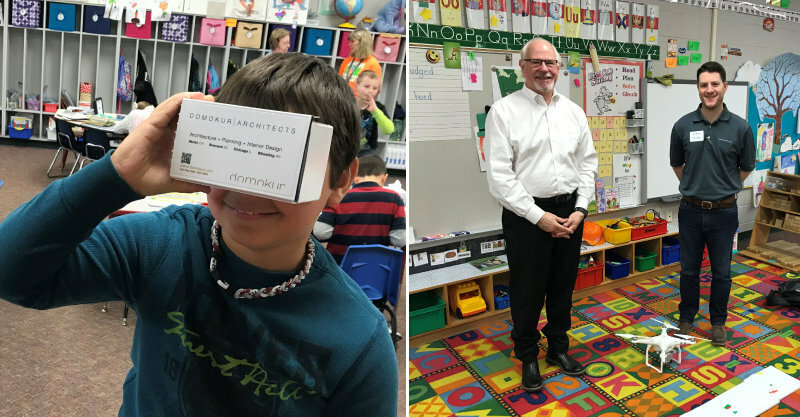 The Orrville Area Boys & Girls Club celebrated the opening of their new building with a Ribbon Cutting Ceremony this past May. The Prairie Township Concession Building is complete and ready to be put to use this summer. Muskingum Watershed Conservancy District is ready for the camping season at Pleasant Hill Lake Park with Campground Area 22 complete, including the renovation and addition to the Shower House in Area 9. The next area to be developed is Campground Area 27, which includes ten new log cabins. 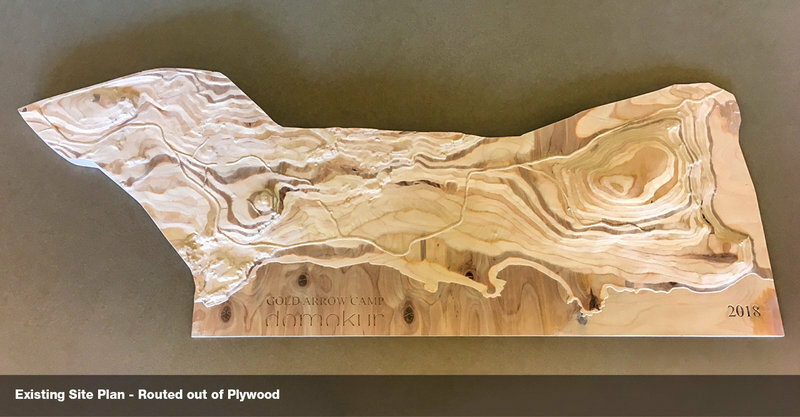 Multiple camp projects are progressing including Gold Arrow Camp in California, Girl Scouts Heart of Central California, Rock Springs 4-H Center in Kansas, and the Master Plan for Flat Rock River YMCA in Indiana. Continue reading below for other feature project updates. 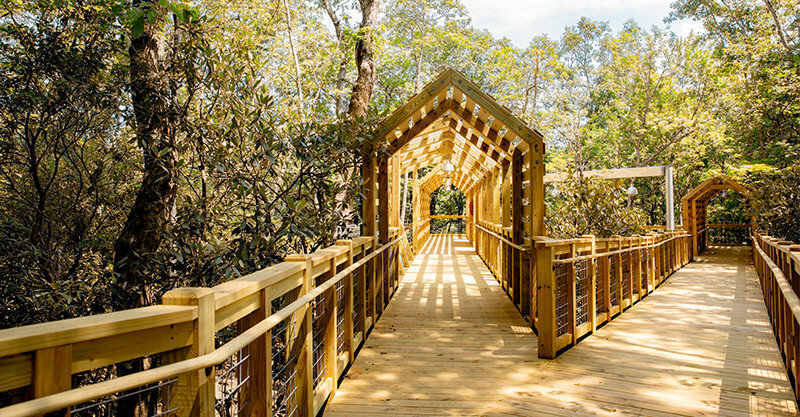 Nestled amongst thick rhododendron under an expansive tree canopy, the Program Tree House provides nearly 2,000 square feet of space to be utilized for outdoor education, vespers, and other nature-related teaching opportunities. 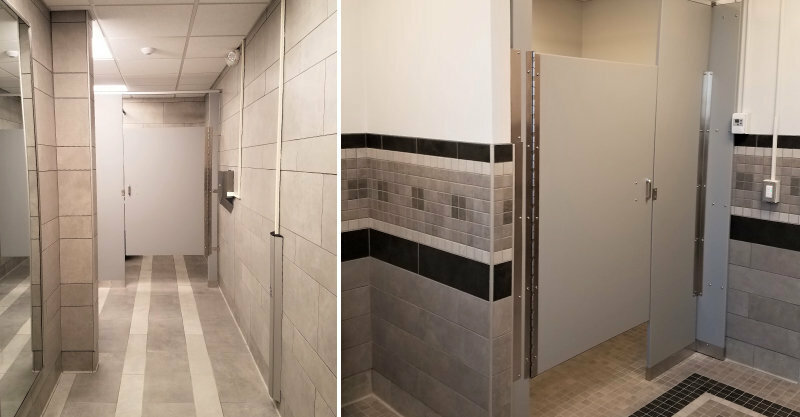 Domokur Architects is providing professional design services for multiple projects for the University of Illinois at Urbana-Champaign, including renovation work in 13 buildings across campus. Camp Timberlake for Boys and Camp Merri-Mac for Girls have shared a camp site in Black Mountain, North Carolina for over 70 years. Domokur Architects, teaming with national architecture firm Bohlin Cywinski Jackson, has been awarded Kent State University’s new Design Innovation Hub (d.i.Hub) project. Playing an active role in our communities is part of who we are . . .
Domokur expands digital fabrication toolbox with the acquisition of a CNC machine. Publication of Domokur All rights reserved, ©2018.